Adult or “masters” programs at LGRC are geared for adults age 18 and up, of all fitness levels. 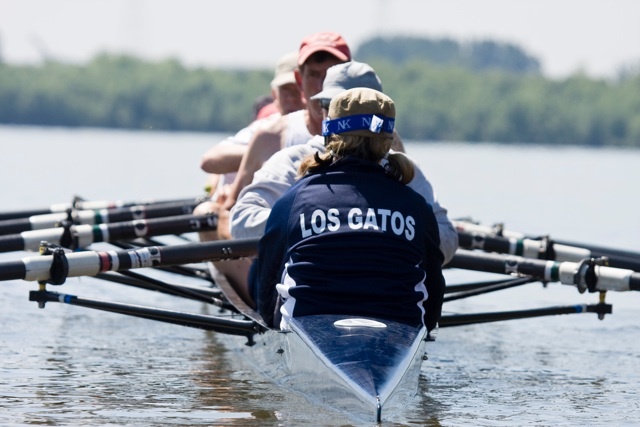 We have programs for beginning rowers through experienced rowers. Sweep rowing is where each rower in the boat uses 1 oar and has both hands on the oar. New rowers learn to row in a stable 8-person shell. Experienced rowers can progress to 2- or 4-person shells over time. Our beginner sweep rowing program is designed for those who are new to the sport. Sculling is where each rower has two oars. New scullers start out in a one-person shell known as a “single.” Experienced scullers can progress to 2- or 4-person shells. We require those who are new to rowing start by taking our Learn to Row class and participate in the Novice program before learning to scull. For those with prior rowing experience (e.g., high school, collegiate or club), we welcome new members to visit one of our coached sweep programs and/or become a part of our friendly sculling community. Please contact us with any questions – we’ll help you get started in the program that’s the right fit for you.